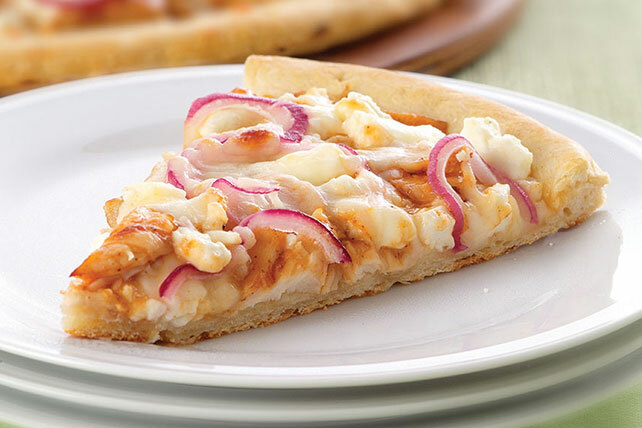 Use Kraft-Heinz BBQ chicken pizza recipe to make a tasty Feta-BBQ Chicken Pizza to serve tonight! This BBQ chicken pizza recipe only takes 22 minutes to complete. 1 – Heat oven to 450°F. 2 – Place pizza crust on baking sheet; sprinkle with 1/2 cup mozzarella. 3 – Toss chicken with barbecue sauce; spoon onto crust. Top with feta, onions and remaining mozzarella. 4 -Bake 10 to 12 min. or until mozzarella is melted and crust is golden brown. Let stand 5 min. before cutting to serve. Tip 1 – Serving Suggestion: This flavorful pizza goes well with a crisp mixed green side salad topped with your favorite KRAFT Light Dressing. Tip 2 – Special Extra: Sprinkle with 2 Tbsp. chopped fresh cilantro just before serving. Y’all know the drill. CLICK HERE to head on over to Kraft-Heinz for all the nutritional info. Our Wolf of the Week, Brody “Babel” Buchanan wants us to know that even a CIA assassin can learn to cook. His mate, Zeta Cordero, promises not to kill him for being such a tease. Zeta adds, “I will admit that I do not cook. I learned to do this just to make him shut up.” You can read their story in UNDER THE ASSASSIN’S MOON. Just click on the book cover to head on over to Amazon. It’s available to read free with a Kindle Unlimited subscription, or to buy for Kindle or in paperback. This entry was posted in Books, Writing Life and tagged #KindleUnlimited, Amazon Kindle, characters, food, links, Moonstruck, reading, recipe, series, Special Forces: Operation Alpha, Tuesday Treats. Bookmark the permalink. Looks good. I’m always on the hunt for new pizza ideas. And if you ever want to get whacky and make your own pizza crust, I have a good recipe for that.